If you're a teenager applying for your first driver's license, you'll need to complete a Driver's Ed program to meet the requirements of the Rhode Island Division of Motor Vehicles (DMV). Completing a driver's education course will help you gain the driving knowledge and skills necessary to satisfy the next steps of your licensing requirements and ace your DMV written and road tests. On this page, you'll find information about Rhode Island Driver's Ed courses and the next steps towards obtaining your first driver's license. If you are younger than 18 years old and want to apply for a RI learner's permit, you'll need to first complete a Driver's Ed course. You'll be able to participate in your first driver's education class session when you are at least 15 years and 10 months old. Your Rhode Island Driver's Ed will be completed over a total of 33 hours. Responding to hazardous conditions and situations. Substance abuse and its effects on driving. 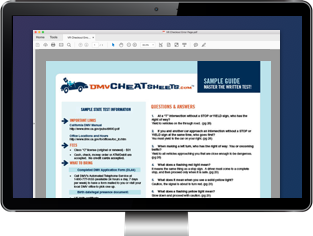 Completing the program will help you pass your DMV written test and prepare you for the supervised behind-the-wheel practice required while you hold your learner's permit. All driver's education courses must be approved by the Community College of Rhode Island. Complete a Registration Form for CWCE Driver Education. Pay the $95 registration fee. In person at one of the CCRI locations listed on the website. By fax to (401) 333-7237. For more information about locations and schedules, please visit the CCRI website or contact the driver's education program. NOTE: Out-of-state courses must be certified by the Community College of Rhode Island to satisfy the DMV Driver's Ed requirements. Completing Driver's Ed will put you one step closer to the driver's seat, but before you can get your first Rhode Island driver's license, you'll need to obtain your learner's permit. Be 16 to 18 years old. Submit your driver's education completion certificate. Complete 50 hours of supervised driving practice with a licensed adult (including 10 hours at night). Hold your learner's permit for at least 6 months with no traffic violations. For more information, please see our Applying for a New License (Teen Drivers) in Rhode Island page.